Hard cover book: German Ersatz Bayonets by Anthony Carter. Volume 1. A concise illustrated history of the emergency all-metal designs 1914-1918. 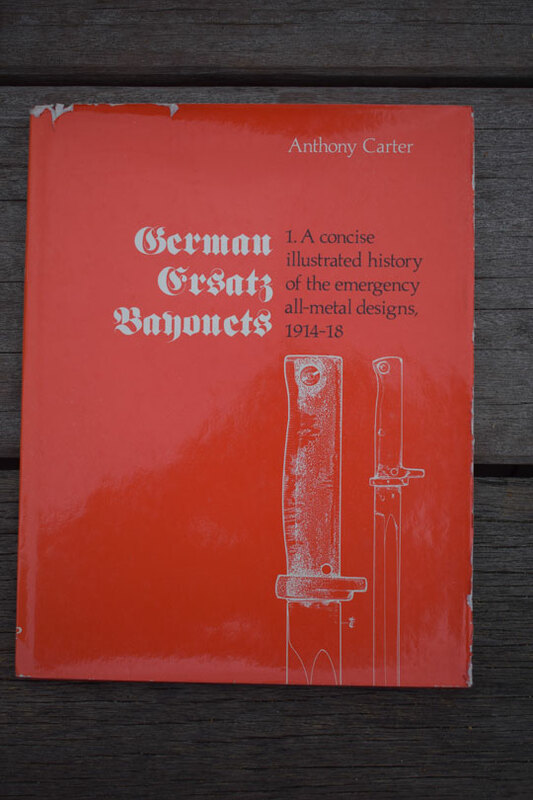 Excellent and rare out of print bayonet reference book from the hand of Anthony Carter. First edition and signed by the author him self! Published in 1976. Nearly all ersatz bayonets are descriped. There is information about the similar weapons used by Austria, Italy and Turkey as well as those produced in Belgium after the war. Also the diverse types of scabbards, frogs and bayonet knots are descriped. Fantastic book and quite rare. 64 Pages. Over 100 illustrations.